Once a job has been completed, the next logical step would be to invoice the job. This can be done by accessing the Invoice icon in the Accounting Tab. 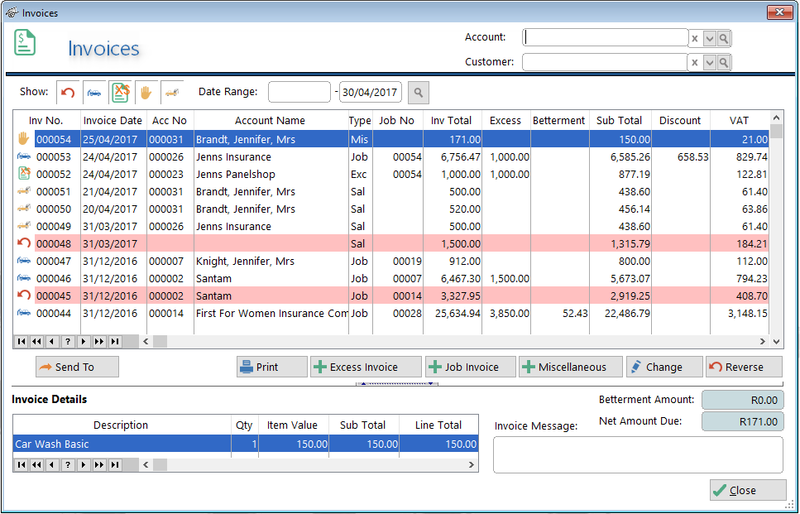 The Invoices window will then be displayed. You can create an Excess Invoice, Job Invoice and/or Miscellaneous Invoice from this tab.